Happy Monday everyone! ♥ I hope you all had a beautiful week. 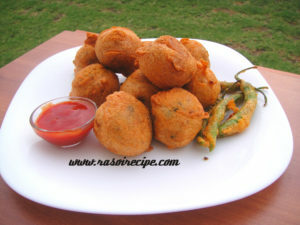 Today’s recipe is ‘Aloo Vada ‘. It is a very popular vegetarian Indian fast food. 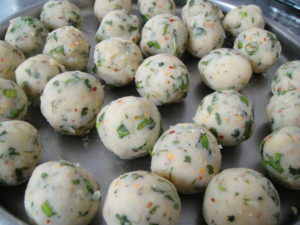 In Rajasthan it is called as aloo vada, but it is also popular with its other name batata wada. 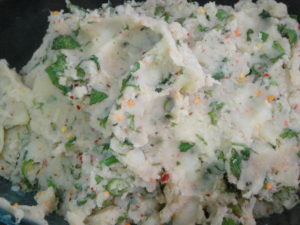 It is basically mashed potatoes fritters/dumplings, which is covered in gram flour batter. In this recipe there is no need to temper the mashed potatoes. Try this hearty snack at home and enjoy with your family as tea time snack/appetizer. It can be served with green chutney (mint and coriander chutney) or ketchup. 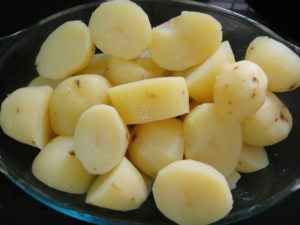 Peel and cut potatoes in half. In a pressure cooker boil potato cubes with salt. 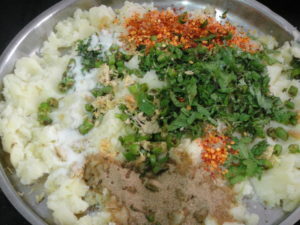 Mash potato cubes and add all the masala ingredients (except oil) in the mashed potatoes . Mix everything properly. 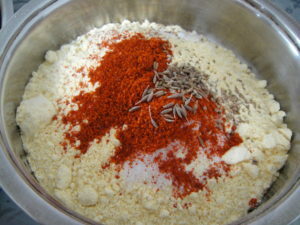 Masala for aloo vada is ready. Divide potato masala in equal size round balls. Keep them aside. In a deep bowl take gram flour, add all the ingredients of batter in it. Gram flour with dry ingredients. Add water in it to have a batter of medium consistency. Heat sufficient quantity of oil in a deep pan for deep-frying. 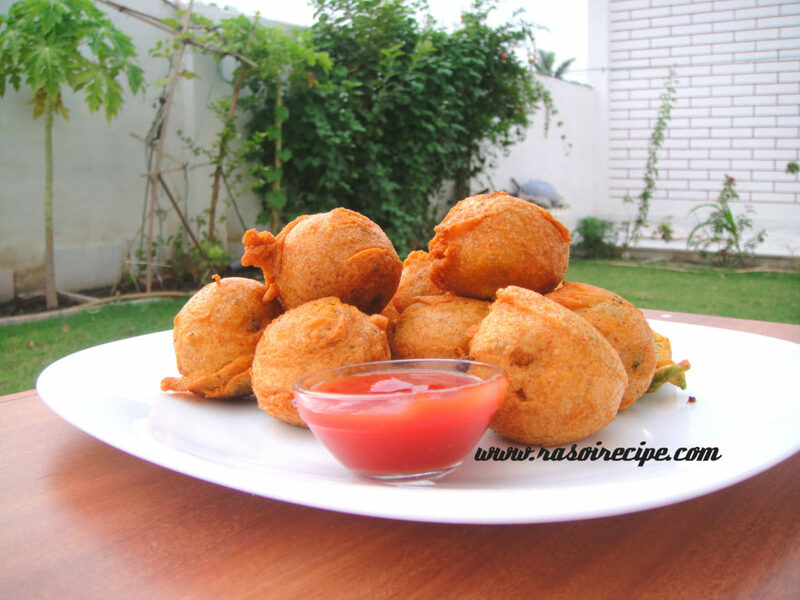 Dip potato balls in batter and deep fry them till golden brown. Serve them hot with ketchup or chutney and deep fried green chillies. Aloo vada served with green chillies and ketchup. Even I am a big potato fan. Thank you so much Sybil ! 🙂 During rainy season mine too.